Imagine being surrounded daily with your all-time favorite memories: summer sprinkler runs, autumn leaf fights, winter home baking joy, and spring puddling jumping, right where you can see them every day. 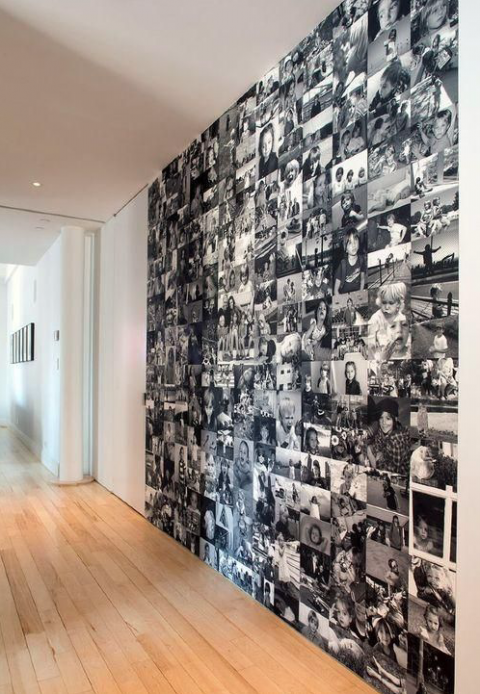 I’ve welcomed these memories into my home, and you can too. 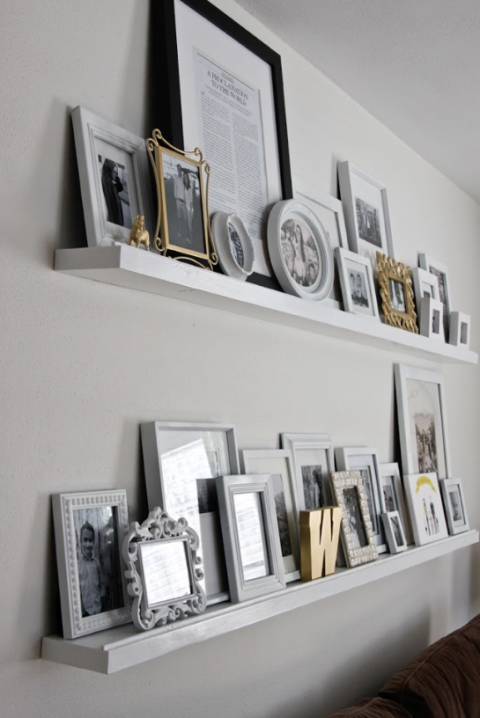 Here’s some of my favourite ways how to fill your home with photographed memories. 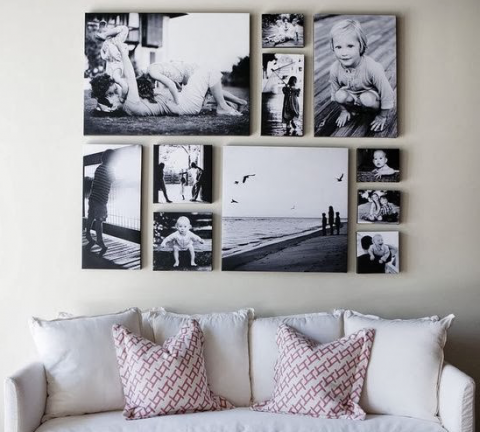 At our home above the sofa in our main living room, I have some of my favourite images from the past year framed and matted in conjunction with some art and things and places we love I switch them out only once per year, so it’s really hard to choose! 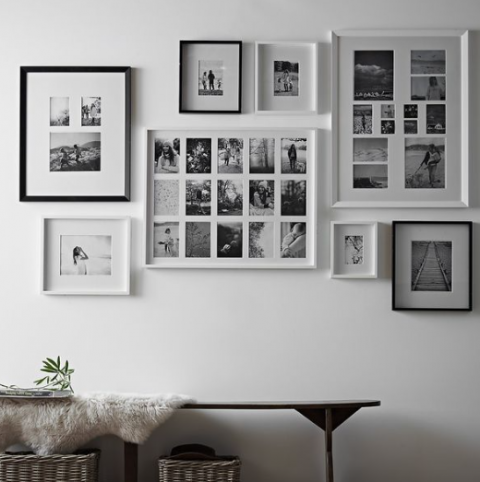 You can find more ideas on my Pinterest Board dedicated to gallery walls.